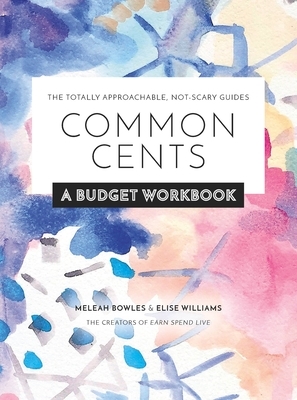 MAKE THE DAUNTING TASK OF MANAGING YOUR PERSONAL FINANCES APPROACHABLE WITH COMMON CENTS! Money makes the world go ‘round, but it doesn’t have to make your head spin! This budgeting workbook is packed with easy-to-use worksheets, money-saving tips, advice from financial experts, and prompts to help you set (and achieve) realistic financial goals. Customizable monthly budgets let you record and manage your expenses by category, as well as see the big-picture impact of day-to-day decisions. But setting up a good budget isn’t just about tracking daily spending; it’s about long-term financial health—so Common Cents will also help you start saving, building up an emergency fund, paying off your debts, and learning how to invest in your future. Common Cents is designed to help organize your financial life—you’ll learn how to make money work for you. Earn Spend Live is a lifestyle website devoted to helping women navigate their career, grapple with their finances, and live their best life. Earn Spend Live was created by professionals in their twenties who wanted to create a space where other twentysomethings can get direct and to-the-point advice on managing work responsibilities and making smart(ish) financial decisions, all while trying to remember to fold that day-old pile of laundry. Being an adult is hard, but we want to make it easier. Elise Williams is Co-Founder and Editor of Earn Spend Live--although when binge-watching Sailor Moon and eating frozen pizza becomes a profitable career, she'll leave the world of digital publishing behind. She holds a BA in technical writing from The University of Central Arkansas and resides in Maumelle, AR, with her cat Lazarus. Meleah Bowles is Co-Founder of Earn Spend Live. Using her feminine wiles and maybe a touch of black magic, she tricked her partner into moving one block away from her mother in Conway, AR with their two dogs and a ferret...because why not? She and Elise have known each other for years, but only recently discovered their undying love for each other. She, too, has a BA in technical writing from The University of Central Arkansas.